Have you often thought about a rewarding career path in a design field but thought it would take to long or cost too much?Are you aware that you can become an expert in the fastest segment of Interior Design in just 1 week of intensive training and get your own business up and running in just 1 month? 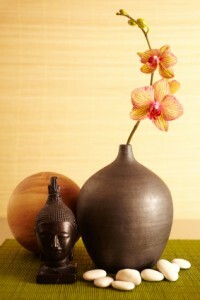 On March 19th The Academy of Home Staging is providing a class in Washington DC. Not only will you be able to see the White House right across the way from where you will trained but DC’s Annual Cherry Blossom event is happening the same week. For more information on the festival click here. Just 2 weeks from today you could be Designing Interiors for a living…. Home Staging is the # 1, up and coming career according to CNN and Career Builder. Home Stagers design interiors of homes that are for sale so that the home will sell quickly and for top dollar. Currently, investors are scooping up foreclosed properties, updating and staging them so they can earn more profits and faster. This is an amazing time to build a lucrative Home Staging business quickly while servicing repeat clients who are doing several houses a month. When I first thought about becoming a Home Stager, I wondered if I could really make it? Well, I am here to tell you, that through trial and error, I discovered what it takes to be highly successful in this field and now I want to pass those years of knowledge on to you and save you hundreds of hours and dollars in frustration and wrong decisions. Because I want you to truly be successful, you also receive our business cd containing all the contracts, proposals, worksheets and click and print advertising pieces to transform your business into $$$$$ immediately. Plus you receive 2 months membership into our VIP, Ongoing Education program which includes coaching and advanced audio classes. Don’t wait any longer to start your amazing journey – Click here to get started. or call me to talk staging – Kim 818.726.6429. I would be happy to shed some light on any questions you have about the industry. When choosing accessories for home staging, the first thing you want to do is analyze your inventory? What types of shapes and sizes do you have? It is important when accessorizing that you choose accessories that vary in size, height and weight, and is important to group each of these items together in variety when staging a home. Make sure you have a wide variety of greenery too. Here are a few tips that will help you incorporate all of your accessories in your home and make your home staging project stand out about the rest. Accessorizing a table top arrangement calls for frames, a lamp, candles and other creative accessories. Keep in mind the number one rule when grouping these items together. The rule of threes. The basic idea of this rule is that the objects are arranged or grouped in odd numbers. Accessorizing in odd numbers makes the room more appealing, memorable, and effective than even-numbered pairings. Even adding plants will help to break up the monotony and add interest to your vignette. The rule of three is especially important when hanging and grouping art on the walls. If you want the overall display to appear as one to the trained eye then stick with the same or similarly shaped frames or mirrors. You can also add contrasting shapes and sizes if you want to bring attention to each specific piece. You want to keep your wall visually exciting stay creative and keep the rule in mind. Accessorizing by height can be tough. You do not want all of your items to be at the same height. You can keep it interesting by displaying your accessories from large too small or from small too large. You can implement the rule of three when using different sizes as well. You can pick one large, one medium, and one small, group them in three and you have perfected your art. Greenery will be your best friend when accessorizing. Group a set of candles and a picture frame with a real or silk plant or orchid. 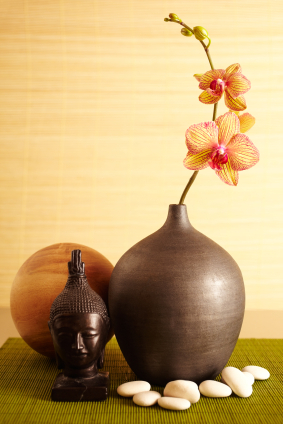 Adding greenery to your vignette will help bring the entire room to life and add color to your overall presentation. Greenery makes a world of difference in any room. Keep these basic rules of accessorizing in mind when staging your home and you will provide a sense of harmony in your overall project. Accessories can be used to balance the color scheme of a room or to add weight in order to perhaps balance out a heavy piece of furniture. Be creative, love what you do, and have fun.